María Eugenia Vidal opens on Wednesday a new penitentiary unit "model" in the city of Campana. 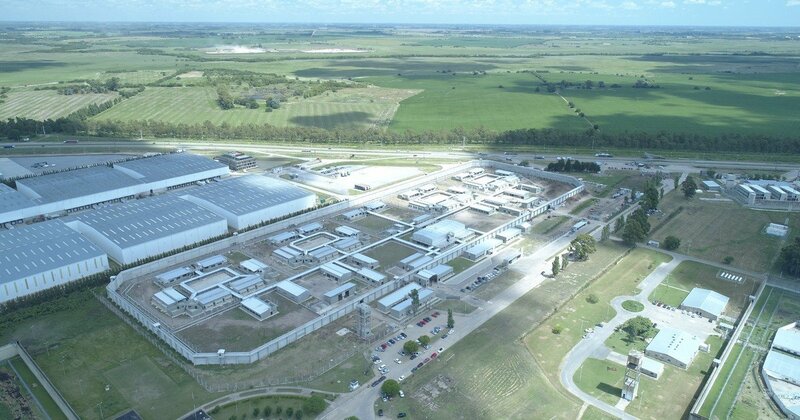 According to the Governor of Buenos Aires, it is the first completely new prison that has been inaugurated in the province in more than a decade. It is meant for young people (all men) of 18 to 21 yearswho have committed crimes against property that are committed to reintegrating themselves into society and receiving training under an intensive program. The news is known when Cambiemos tries to install security as a central theme of the campaign, amid a strong economic recession. In the deep Conurbano, the issue is always latent: according to data from the province, more than one 40% of young people are committing crimes again after being imprisoned. The Campana model unit, a project under the Ministry of Justice headed by Gustavo Ferrari, plans to house more than 600 prisoners. Many of those have already been "selected and evaluated" by the provincial body of children and adolescents, on one a total of 3700 young people housed in the prison system of Buenos Aires. "Young people going to the new prison must sign a commitment to comply with this. Respect coexistence, schedules & # 39; s educational and work activities. Those with addiction problems, must undergo a program of integral treatment with the support of interdisciplinary professionals, "they declared in the province. "It is inspired by prison models from Germany and the United States, respecting international human rights standards. unique in its style in the country ", Added from the government. The prison has four independent modules, has classrooms, workshops and a sports center. In addition, the prisoners will have the treatment of their own waste, cultivate a communal garden and have a "patronage of liberated" organized within the same prison to ensure the guidance. The policy in the area of ​​justice and security is a racehorse for the management of the province of Buenos Aires. According to officials, "we are much better now than we initially found the province, but we are still far away." "Nowadays children under 16 are still being held at police stationsalthough there are five reception areas about to open, "they say in the interior.